Took place at various venues and site specific locations. 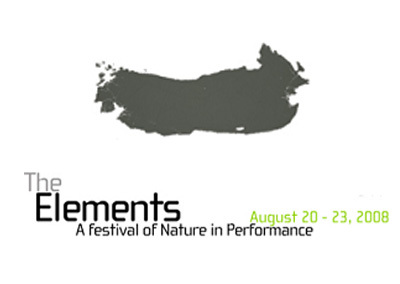 ‘The Elements’ is an invitation to witness both the process of creation and the presentations of five internationally recognized artists that reflect life on Gabriola Island in a way that is inclusive and transformational. It is a ‘terrestrial symposium’ that will combine sound art, installation work, digital media, with performances and workshops for all ages in our community. We are grateful to have received major funding from Arts Partners in Creative Development, and Legacies Now, for this project.